Are you ready to journey beyond your comfort zone? 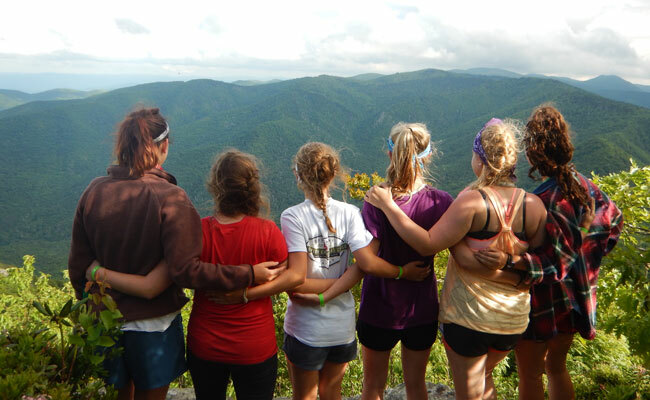 Journey takes the girls on a two day backpacking trip, followed by a day of caving at Worley’s Cave. After returning to camp and enjoying the adventure of our high ropes course, the girls will finish their week with a horseback riding trip. Take the Journey! Check out the Info Sheet for packing list, physical requirements and camp descriptions. Check your schedule on our Dates and Rates sheet. Click on Waivers to download the needed additional waivers for this camp. Check out a sample schedule with our Sample Schedule.